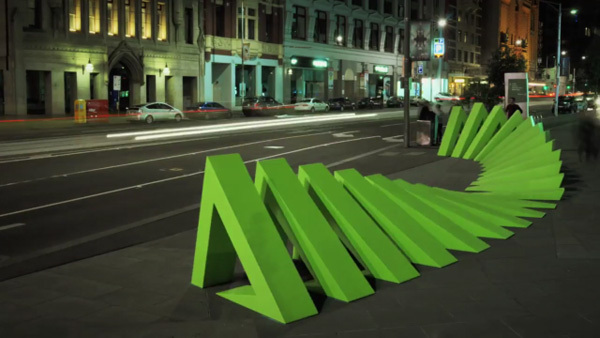 "Twenty-one large triangles animated by Melbourne, throughout Federation Square. MÖBIUS is a sculpture that can be configured into many cyclical patterns and behave as though it is eating itself, whilst sinking into the ground. The result is an optical illusion and a time-lapse of people interacting with the sculpture and moving through Melbourne's landmark location throughout the day."